Sherrie has been sewing since she was 4 years old learning from her Grandmother how to cross stitch. Since then her experiences have covered knitting, crocheting, counted cross stitch, clothing construction, embroidery by hand and machine, and painting. She has won multiple ribbons at the local fair for her clothing and quilt entries. 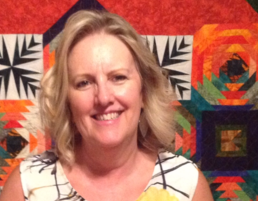 Sherrie is passionate about her craft, and has a very creative background. She is always looking for new ideas and techniques to share with her students. Her philosophy is there are no mistakes, just opportunities for creativity. 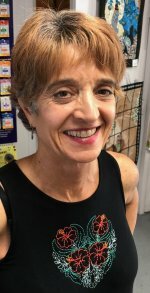 Sherrie teaches, new machine owners classes, embroidery club, serger club, Anita Goodesign All Access Embroidery Club, Beginning sewing and quilting, block of the month, and more. Sherrie and her husband Mike are the owners of A & A White Sewing Center since 2016. Eileen and her husband, John, recently moved from Pennsylvania to Florida. They have two sons and eight grandchildren.